Entrepreneurs are entering 2018 with high confidence and a strengthening economy. The keys to small business growth and healthy entrepreneurship hinge on strong and sustainable economic growth and the continuance of policies that lift government imposed barriers, encourage capital formation and investment. To that end, I am very hopeful that President Trump and Congress will prioritize their agenda with entrepreneurs in mind to ensure that small businesses succeed and help create the quality jobs and innovative breakthroughs that are necessary for a dynamic economy that benefits everyone. Still, there is more to be done to make the U.S. more globally competitive for all U.S. businesses and to revitalize the ecosystem for entrepreneurial activity. Transforming the outdated regulatory system, improving capital access, lowering health coverage costs and increasing choice and competition, global market access and intellectual property protection, and additional tax code fixes are some of the key areas for action. Regarding infrastructure, welfare reform and other priorities of the Trump Administration and Congress, the voice of small businesses will be vital to ensuring that changes in these areas are beneficial to our sector. In this blog post, I address regulatory system reform. As noted above, positive regulatory actions taken by the Administration in 2017 have been a boost to small businesses and the economy. Also in 2017, legislation to reform the federal regulatory system made a big move as a package of bills passed the full House and advanced through the Senate Homeland Security and Government Affairs Committee. One of those bills – the “Small Business Regulatory Flexibility Improvements Act” (H.R. 33 and S. 584) – has been the focus of SBE Council’s advocacy, and we are working hard to get it to President Trump’s desk as soon as possible. 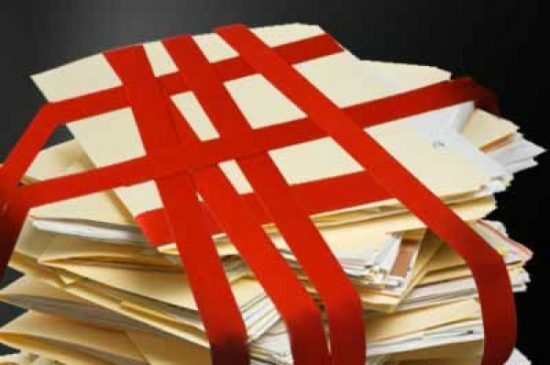 The legislation fully compliments efforts underway in the federal agencies (through Executive Order) to streamline, repeal, and modernize existing red tape and regulations. On top of President Trump’s regulatory accomplishments in 2017 that have positively impacted small business optimism and economic growth, he has pledged to repeal three regulations for every one proposed in 2018. According to the White House, the Administration far surpassed its 2017 promise to eliminate regulations at a 2:1 ratio with the actual number coming in at 22:1. New for 2018: the federal regulatory database will identify whether regulations will be net regulatory or deregulatory. The regulatory process is seriously outdated and complex, and reforms are long overdue to improve accountability, transparency and how the regulatory sausage is made. The current system is gamed to align with pre-determined outcomes and the “Washington knows best” ideology of federal regulators. The “Small Business Regulatory Flexibility Improvements Act” would transform such thinking by providing small business with a meaningful voice and tools during the rulemaking process. SBE Council is pressing all Senators to support the bill and we are hopeful for a positive outcome. In addition to broad regulatory reform, it is imperative that Congress advance legislative fixes to specific regulations that require such action. The onerous and impractical Obama-era joint employer standard and the regulatory activity and uncertainty it has spawned is one such rule that needs to be fully addressed through legislation. While the new National Labor Relations Board (NLRB) overturned the 2015 ruling on Browning Ferris Industries, which brings us back to the pre-Obama joint employer standard, a legislative solution remains necessary to provide certainty for small businesses. The Save Local Business Act (H.R. 3441), which passed the House on November 8 with bipartisan support, provides that needed legislative remedy. Now the U.S. Senate must act. Of course, there will be constant activity within the agencies and on Capitol Hill on many regulations that are affecting small business operations. We will continue to weigh in and support appropriate changes to a host of regulations currently on the books. It is vital, however, that the regulatory process be fully reformed and modernized to ensure that entrepreneurs and small businesses are protected well into the future regardless of who sits in the Oval Office. Entrepreneurs deserve a system that takes into account the impact of proposed regulations, and one that listens to and responds to their concerns about proposed actions. The “Small Business Regulatory Flexibility Improvements Act” will accomplish this, and the U.S. economy will be far better when this needed transformation occurs. What About Small Business Regulatory Reform?